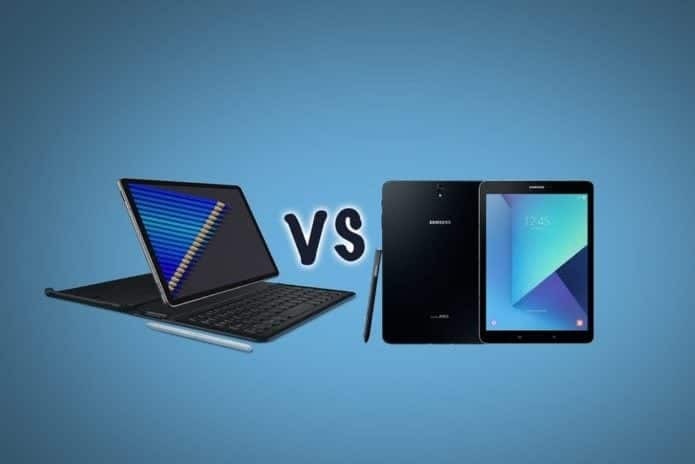 Samsung Galaxy Tab S4 VS Samsung Galaxy Tab S3: Is Their Any Change? Samsung Galaxy Tab S4 is the successor to the Samsung Galaxy Tab S3. This Tablet comes with advanced features and other regulars. The battery on it has been beefed up and you will also get a bigger screen size on the tab. In this article, we shall be comparing this tablet with its predecessor. So it’s going to be Samsung Galaxy Tab S4 VS Samsung Galaxy Tab S3 specs comparison. Samsung Galaxy Tab S4 VS Samsung Galaxy Tab S3: Design. Samsung Galaxy Tab S4 VS Samsung Galaxy Tab S3: Display. Samsung Galaxy Tab S4 VS Samsung Galaxy Tab S3: Camera. The Samsung Galaxy Tab S4 is built with productivity in mind. The tablet now has slimmer bezels prior to other Tablets. It comes with no home button and you will only find the Iris and face scanning as authentication options. The body is built with a solid metal and it’s well rounded on the corners. On the Galaxy Tab S3, it sports a beautiful body design with a fingerprint scanner on the home button. It measures 237.3 x 169 x 6.0mm in dimensions which is lighter and thinner than the Tab S4. It weighs 429 grams while the Galaxy Tab S4 weighs 482 gram with dimensions of 249.3 x 164.3 x 7.1mm. 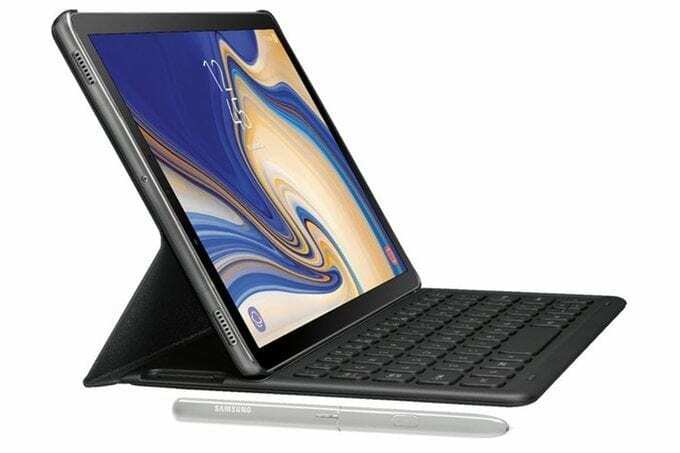 The Samsung Galaxy Tab S4 comes in a large10.5-inch display with Super AMOLED technology and it also boasts of a 16:10 screen ratio with 2560 x 1600, 287 pixels per inch density resolution for vivid picture detail. As for the Samsung Galaxy Tab S3, it has a similar size to the Tab S4. It has 9.7-inches with Super AMOLED technology along with a resolution of 2048 x 1536 pixel. Both Tablets has HDR and 4K video playback. There is a rear camera of 13 Megapixels with a front facing camera of 8 Megapixel for a selfie on the Galaxy Tab S4, while the Galaxy Tab S3 features the same 13 Megapixels on the back for photography and also 5 Megapixels for a selfie. The Samsung Galaxy Tab S4 has a Snapdragon 835 processor with an octa-core that clocked at 2.35GHz + 1.9GHz supported by 4GB of RAM for a smooth performance. The phone is driven by 7300mAh battery with a USB Type C port, headphone jack, microSD slot, and a pin-connector. The phone also features the S-Pen which now support 4096 pressure levels. As for the Samsung Galaxy Tab S3, it has a Qualcomm Snapdragon 820 chipset, supported by 4GB of RAM and a 6000mAh battery. The onboard storage is 32GB with microSD support for storage expansion and it comes in Wi-Fi and LTE variants. You will also get a USB Type-C along with 3.5mm jack. 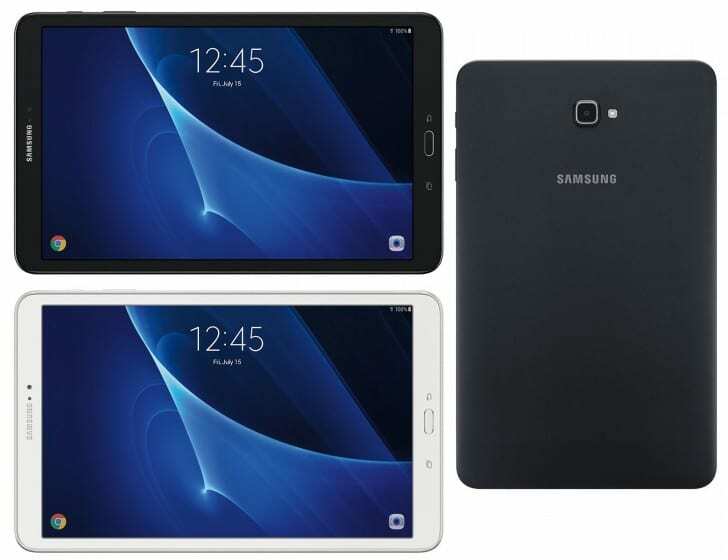 Samsung Galaxy Tab S4 VS Samsung Galaxy Tab S3: Price. The starting price of the Samsung Galaxy Tab S4 is £599 for the Wi-Fi-only model and £649 for the LTE model. You will get the S-Pen but will have to pay extra £119 for the keyboard and also $50 for the DeX. As for the Galaxy Tab S3, It’s priced at £599.